Dr. Brooks was raised in Nashville, TN graduating from Montgomery Bell Academy before attending and graduating from Washington and Lee University in Lexington, VA with a Bachelor's degree in European History. While in college, Dr. Brooks was elected President of his Senior Class, played NCAA intercollegiate baseball, and was selected for Who's Who in American Universities and Colleges. In addition, he was the Director of the Department of Country Music for the university radio station. Dr. Brooks moved to Birmingham, AL to attend the University of Alabama School of Dentistry. During his four years of dental school, Dr. Brooks was elected Student Body President and was involved in several activities such as volunteer research work in the Biochemistry Department at UAB and the "Special Smiles" program for the physically-challenged. 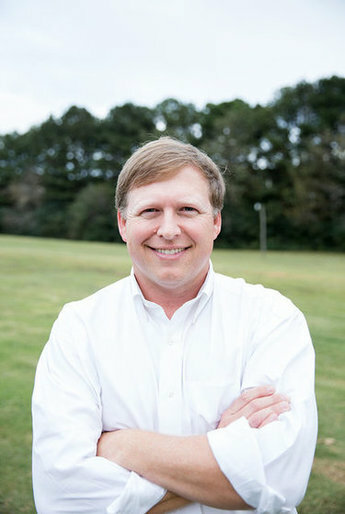 After receiving his Doctorate of Dental Medicine from the University of Alabama School of Dentistry in 2001, Dr. Brooks decided to specialize in the field of orthodontics. He pursued a three-year post-doctoral master's degree in Orthodontics at the University of Alabama at Birmingham. While in his residency, Dr. Brooks focused his master's thesis on the accuracy and acceptability of digital dental models versus plaster dental casts. His thesis was selected for publication in The Angle Orthodontist. During his third year of residency, he took and passed the written exam for American Board of Orthodontics certification. In June, 2004, Dr. Brooks completed his residency in Orthodontics. Dr. Brooks resides in Birmingham and is married to the former Leslie Denton of Birmingham, AL. They have four sons, Wyatt, Carter, Miller, and Denton. They are active members of Covenant Presbyterian Church where Dr. Brooks serves as a deacon. Dr. Brooks' interests include coaching youth athletics, golf, hunting, fishing, college football and music.